You may remember on the first day of the UK Games Expo (Podcast Episode 212) we spoke to Troll Trader about several subjects, one of which was the impending relaunch of the Carnevale miniatures game. Well, a kickstarter project to produce a new rulebook, plus a 2-player starter set, has been launched. The project has a funding goal of £30,000 and is running until August 4th, and at time of writing has reached over 50% funding in less than 24 hours. 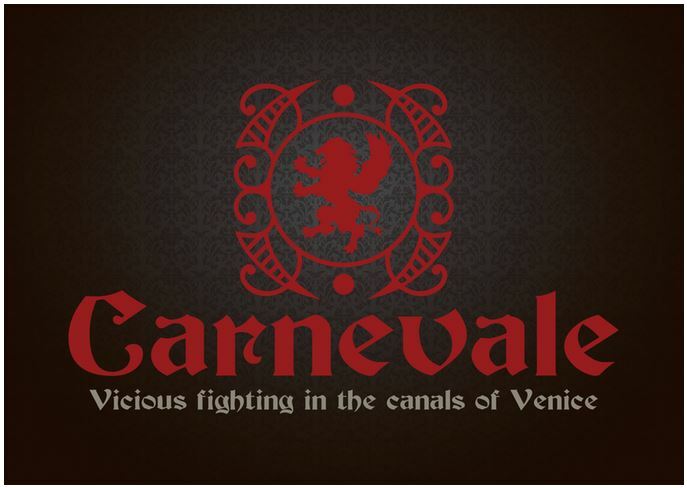 Carnevale is a tactical narrative miniatures game set in 1790’s Venice. Safe from the effects of the Rent in the Sky that tore Italy in half, Venice is now a hot-spot of magical activity. Strange creatures rise from the canals, the ruling class play violent games with lesser men, and the population of Venice try to survive. All vie for power in the street fights that take place in the dark of the night. Add to that a full range of MDF scenery to recreate the backstreets and canals of Venice, and you have a game that looks fantastic, sounds really interesting and is something a bit different. It could well be worth checking out. Great value starters and would jump in if I hadn’t already got a ton of stuff, they need to do a pledge for rules and sceneray for those who already have the models. What are your thoughts on the game David? The original game was fun to play with a lot of dynamic movement, but the balance was not there with certain match-ups between models. You could find yourself with a couple of basic guy’s and find you could do nothing against the enemy hero except run away. Scenarios did mitigate this a bit with objective gathering etc, or bad positioning meant it possible to shove a guy in the water. But played right, major heroes could be nigh untouchable by anything less. This edition of the rules promises that these issues have been cleared up and certainly will get the models out again when the beta rules are released.